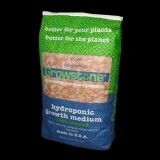 Expanded Clay - Aquaponic and Hydroponic Growing Media - 50 Litre bag Single bags c.. 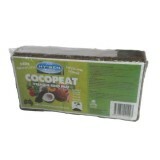 Expanded Clay - Aquaponic and Hydroponic Growing Media - 50 Litre bag - 2-4 bag price .. Expanded Clay - Aquaponic and Hydroponic Growing Media - 50 Litre bag (5 to 9 bags) .. 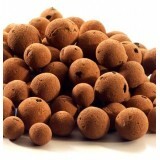 Expanded Clay - Aquaponic and Hydroponic Growing Media - 50 Litre bag (10 to 19 bags) .. 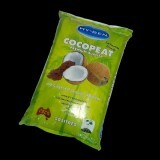 Expanded Clay - Aquaponic and Hydroponic Growing Media - 50 Litre bag (20-35 bags) .. 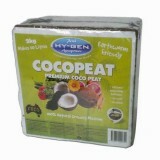 Expanded Clay - Aquaponic and Hydroponic Growing Media - 1x pallet (36 x 50L bags) - Hig..
Hy-Gen Premium Quality Coco Coir Hydroponic Growing Media - 50 Litre bag - Bufferred wit..
Hy-Gen Premium Quality Coco Coir Hydroponic Growing Media - 50 Litre bags (2 to 5 bags buy p..
Hy-Gen Premium Quality Coco Coir Hydroponic Growing Media - 50 Litre bags (6 to 12 bags buy ..
Hy-Gen Premium Quality Coco Coir Hydroponic Growing Media - 50 Litre bags (13 to 24 bags buy..
Hy-Gen Premium Quality Coco Coir Hydroponic Growing Media - 50 Litre bags (25 to 39 bags buy..
Hy-Gen Premium Quality Coco Coir - 650 gram Brick - Makes 10 Litres - Bufferred w..
Hy-Gen Premium Quality Coco Coir - Box of 32 x 650 gram Bricks - Each brick makes 10 L..
Hy-Gen Premium Quality Coco Coir Growing Media - 2kg Block - Makes 30 litres - Bufferr..
Growstone - Hydroponic Growing Media - 35.4 Litre bag - Highly acclaimed growing media - Reco..